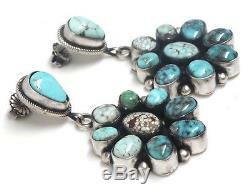 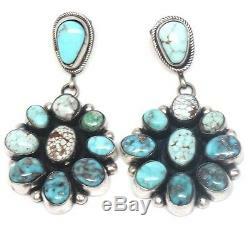 This is a Navajo handmade Beautiful Dry creek Turquoise Sterling Silver earrings! 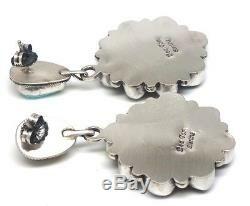 Measures: 2-1/4" tall by 1-1/4" wide. 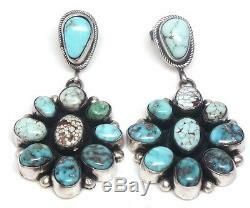 The item "Navajo Handmade Sterling Silver Dry Creek Turquoise Post Earrings -Bea Tom" is in sale since Friday, April 07, 2017.